These cookies are moist and delicious. 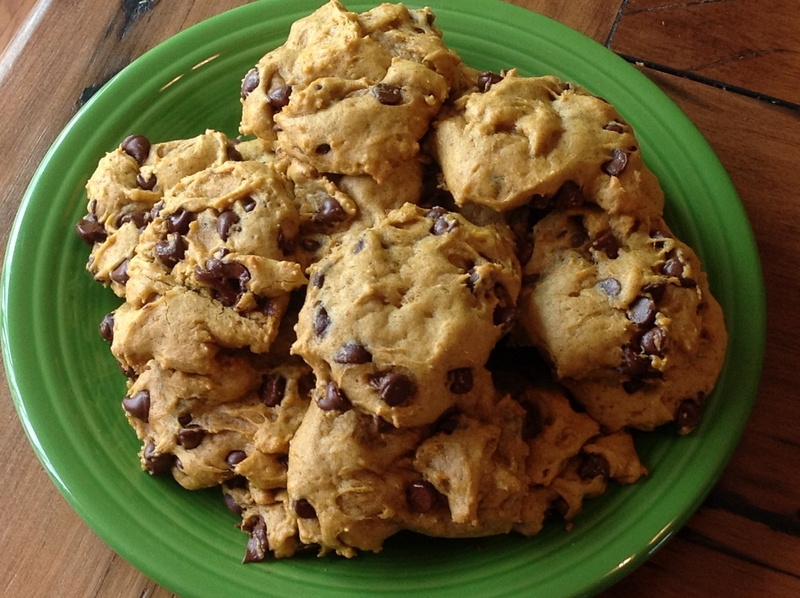 I hate pumpkin pie, but I love these cookies!! They are so easy to whip up and bake up nicely. Combine pumpkin, sugar, oil, and egg in a bowl. In a separate bowl, stir together flour, baking powder, ground cinnamon, baking soda and salt. Mix the flour mixture with the pumpkin mixture. Add the milk and vanilla. Lastly, stir in the chocolate chips. Drop rounded spoonfuls (tablespoon) on a lightly greased cookie sheet. Bake in a 350 degree oven for 10-12 minutes. The cookies should be firm and lightly browned.